If you are always making crafts you know how messy your craft room or desk can get. You only need to be working on one or two projects for your work space to look like a disaster zone. So how do you keep your craft desk organized even when you’re working on projects? You need a few items to keep all of your crafting materials sorted. Everything should have a place. The reason an adjustable desk organizer is useful is because you can place and sort different project you are working on. 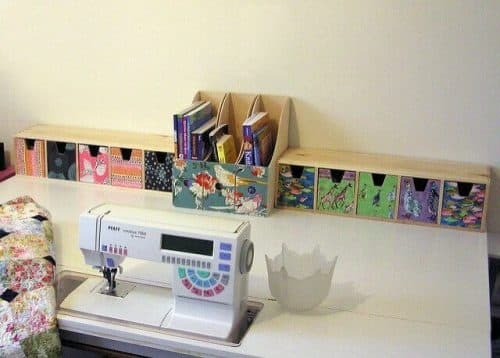 Whether you are working on Mother’s Day cards or a portrait drawing, you can keep them all in your adjustable desk organizer. You can also keep other document like instructions for a project you’re working on. It’s really helpful to have multiple pencil, pen and marker holders so that you can organize and sort the different drawing tools that you have. If you’re a drawer you that it’s annoying when you can’t find a particular pencil or colored marker. You can sort however it works best for you whether that’s by color or writing tool. See through folders are important to have on hand for those really special and delicate projects. If you are drawing a portrait of someone and you don’t have to leave it were something might spill on it, see through folders a must-have. When you sort your crafts, the last thing you want to do is have a stacking system where you have to unstack everything to get to one item. A drawer system works best. If your desk doesn’t have drawers, you can create your own with small cardboard boxes and scrapbooking paper to make them pretty. That way everything will be in your reach and you will stay sane while you’re crafting.